Farmers have until May 10 to apply for funding under the Conservation Stewardship Program (CSP), the largest working lands conservation program in the country, the Natural Resources Conservation Service (NRCS) said. NRCS plans to invest up to $700 million for new enrollments and contract extensions in fiscal year 2019. The 2018 Farm Bill made several changes to the conservation program, which helps farmers and ranchers take the conservation activities on their farm or ranch to the next level, according to NRCS. 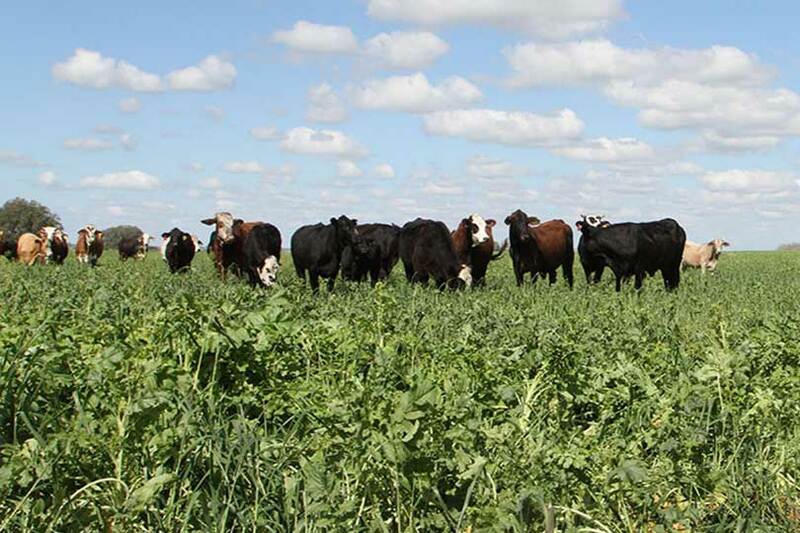 Signup will be similar to previous years, but new contracts will be eligible for increased payment rates for practices such as cover crops (pictured above) and crop rotations that can prevent runoff of nutrients from cropland. Those higher rates were among the changes that the 2018 Farm Bill made in the program. NRCS now enrolls eligible, high ranking applications based on dollars rather than acres. For fiscal year 2019, NRCS can spend up to $700 million in the program, which covers part of the cost for farmers and ranchers implementing new conservation activities and maintaining their existing activities. CSP also now provides specific support for organic and for transitioning to organic production activities, as well as a special grassland conservation initiative for certain farmers who have maintained cropland base acres. The program is offered in all 50 states and the Pacific and Caribbean areas through continuous sign ups. The program provides many benefits including increased crop yields, decreased inputs, wildlife habitat improvements and increased resilience to weather extremes. CSP is for working lands, including cropland, pastureland, rangeland, nonindustrial private forest land and agricultural land under the jurisdiction of an Indian tribe.